Fun fact: New York City has the highest population of Italian-Americans in the United States, so it shouldn’t shock anyone that the city’s best Italian restaurants are some of the finest you can get off the motherland. 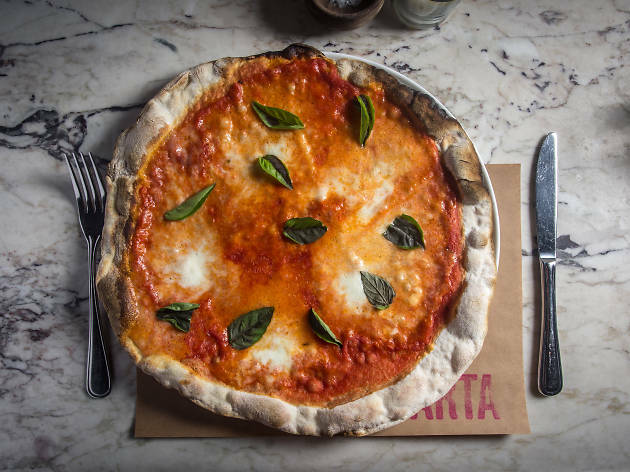 Whether you’re craving world-class New York pizza, want to take a pasta-loving date to one of the city's most romantic restaurants or are looking for a modern upgrade to a Little Italy mainstay, these are the best Italian restaurants NYC has to offer. 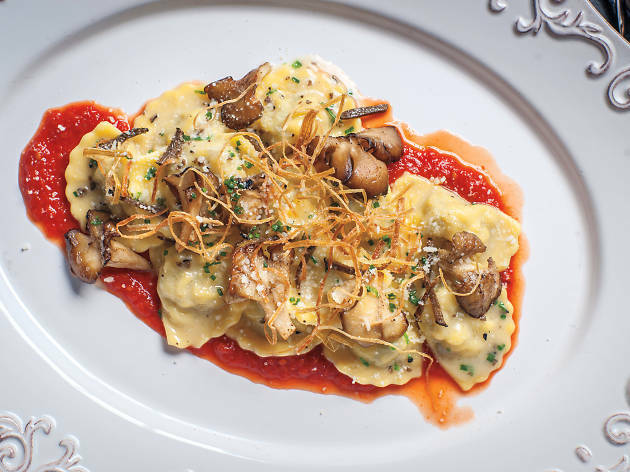 With four-star ambitions and prices to match, Mario Batali’s cavernous restaurant has become nothing less than the city’s top destination for refined, upscale Italian cuisine. The clubby dining room, serenaded nightly by a twinkling pianist on a grand piano feels like the lobby of a very opulent grand hotel. The most showstopping dishes, intended for sharing, include hunks of lamb and veal and creamy Bauletti with sheep's milk ricotta. The all-Italian wine list is suitably encyclopedic and exorbitantly priced. Michael White, who built a national reputation at Fiamma in New York and Las Vegas, only to see his fledgling empire squashed overnight in a partnership meltdown, returned stronger than he left. 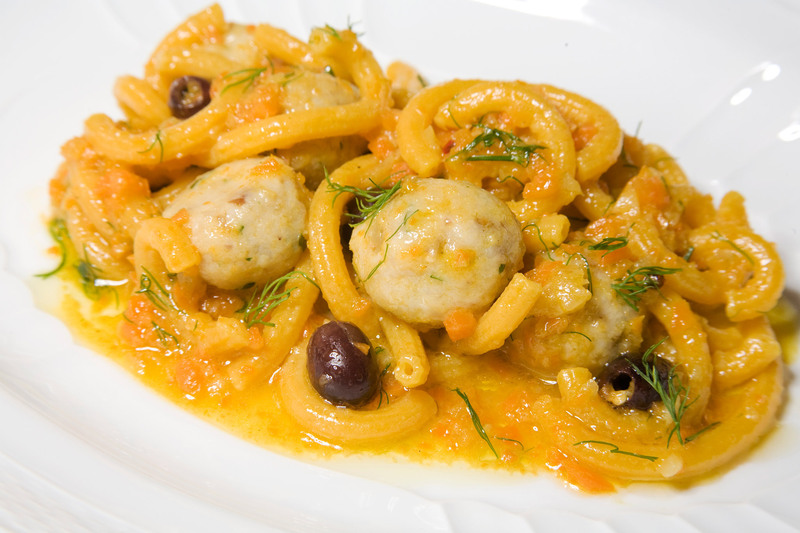 The chef strives to continue the comeback that began at Convivio and Alto with the seafoodcentric Marea. An upmarket shrine to the simple pleasures of the Italian coastline, the project is a gutsy gamble from a chef with bravado to burn. The Italian-American supper clubs immortalized in mob movies and sepia-toned photos were never as dreamy as they seemed. The young guns behind Carbone, though, have moved beyond sentimentality in their homage to these restaurants by flipping the whole genre onto its head. The enormous menu reads like an encyclopedia of red-checkered classics. But co-chefs Rich Torrisi and Mario Carbone have made such dramatic improvements, you’ll barely recognize anything. 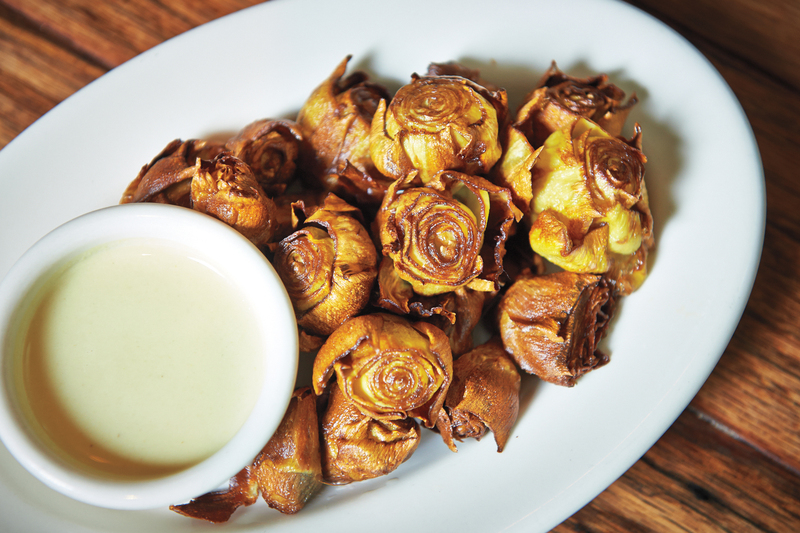 The old-world charm of well-worn communal tables, dangling copper cookware and flickering lamps may help explain why a 23-year-old restaurant is still tough to get into on a Saturday night. 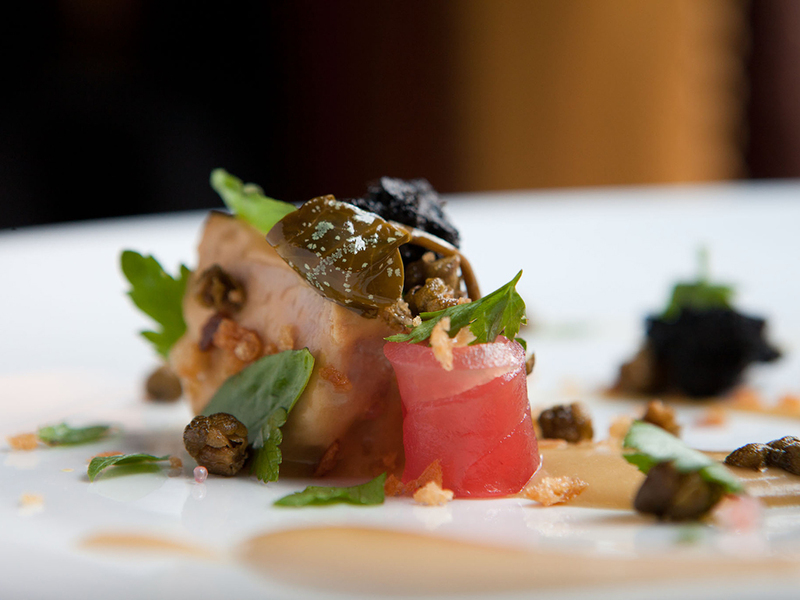 Seasonal produce shapes the menu of executive chef Roger Martinez. 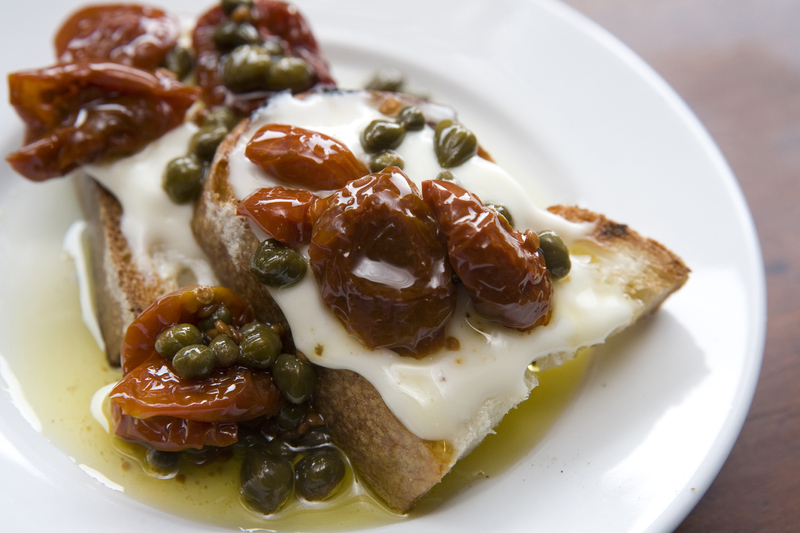 Dunk the warm country bread in Umbrian, Ligurian and Sicilian olive oils produced exclusively for Il Buco. 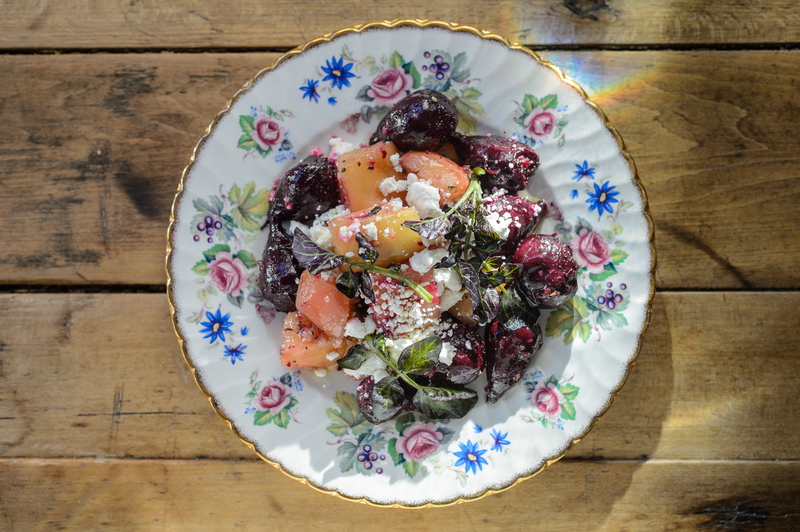 You’ll have no trouble finding a wine to match your meal; Il Buco’s list is one of the city’s best. 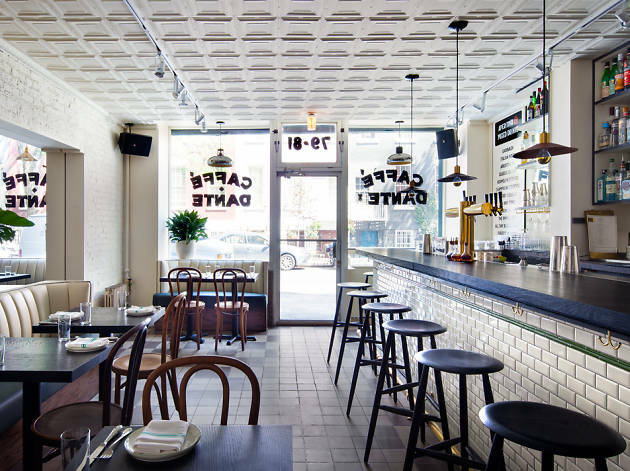 Aspiring restaurateurs in Park Slope should study this convivial Fifth Avenue pioneer. 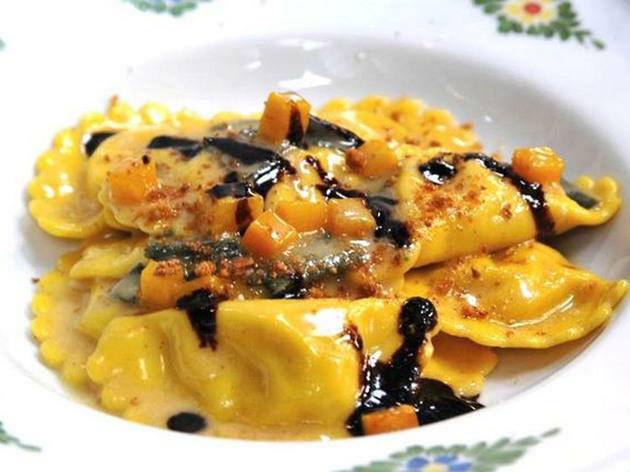 Though it opened in 1998, al di là remains unsurpassed in the neighborhood. Affable owner Emiliano Coppa handles the inevitable wait (due to the limited reservations policy) with panache. 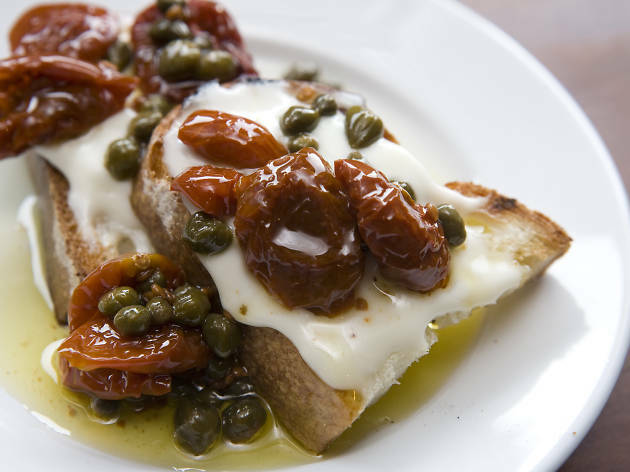 The wait is worth it for co-owner and chef Anna Klinger’s northern-Italian dishes. 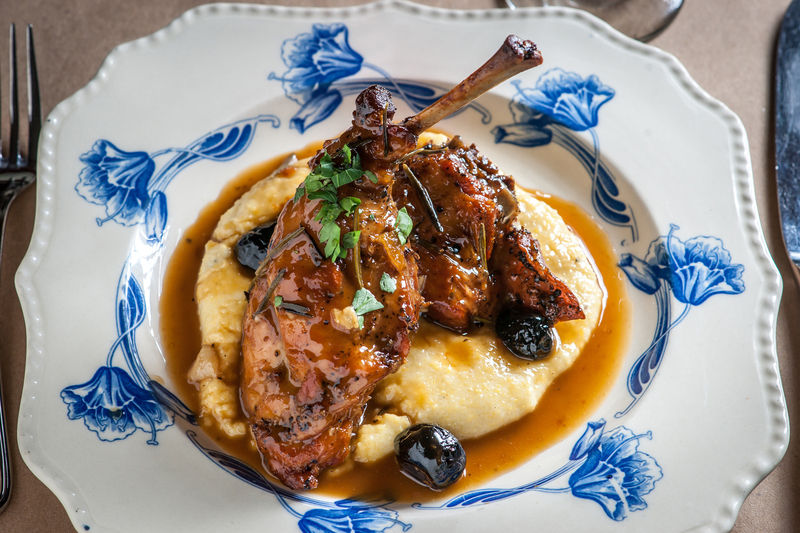 It would be hard to improve on her braised rabbit with black olives on steaming polenta; even simple pastas, such as the homemade tagliatelle al ragù, are superb. 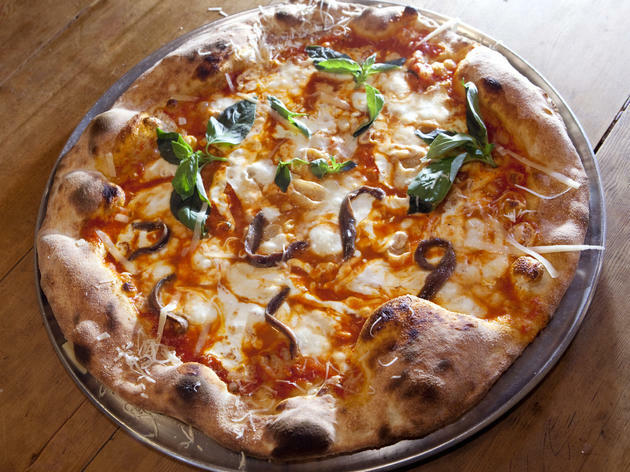 The painstakingly crafted Neapolitan pies—cracker-thin crust with a pleasing char and a subtle Parmesan zing—are widely considered among the city's best; dough is made fresh several times a day. To keep kids occupied during what feels like an interminable wait, point out the window boxes full of herbs used to flavor the sauce. 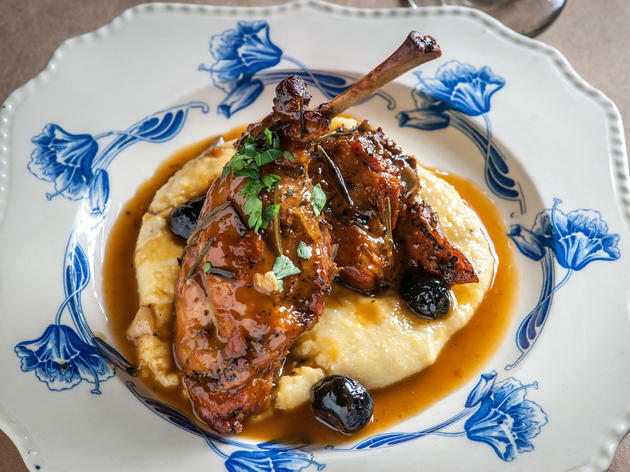 Owner Robert De Niro swapped his train-wreck trattoria, Ago, for this blockbuster replacement helmed by chef Andrew Carmellini (A Voce). 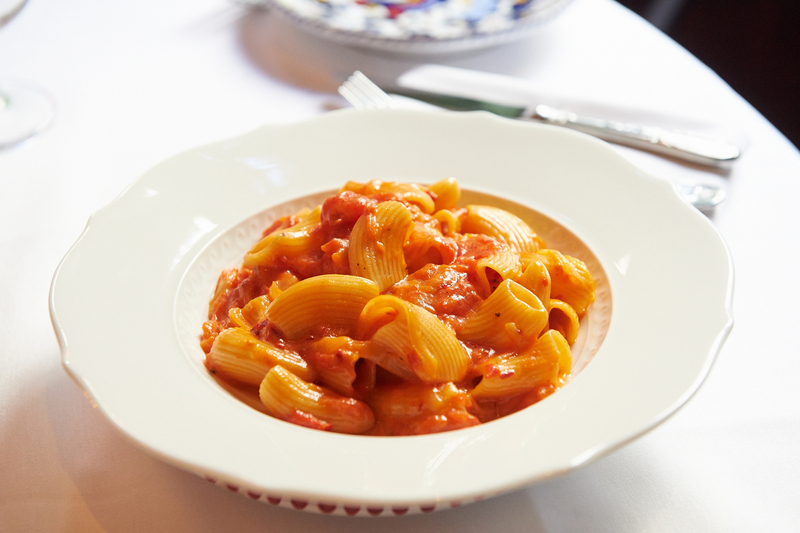 Carmellini’s bold family-style fare is best enjoyed as a bacchanalian banquet. A single order of oven-roasted bone marrow with truffle gremolata won’t last long in the middle of the table. Nor will the chef’s ravioli—as delicate as silk handkerchiefs and oozing pungent robiola. Locanda is the rare Italian restaurant with desserts worth saving room for: Try the apple pie fantasia with apple cranberry compote, bayleaf gelato and oatmeal streusel. 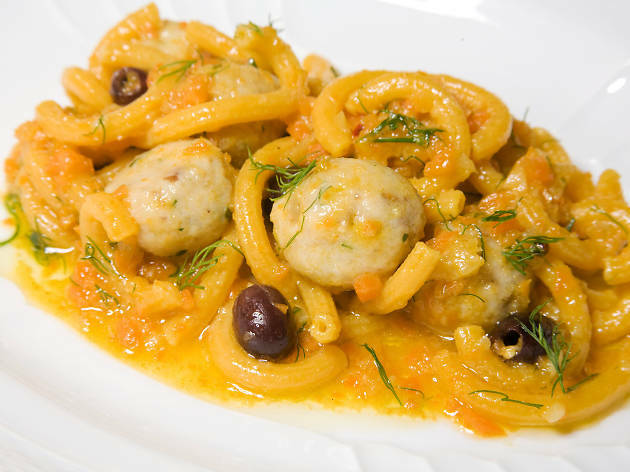 This casual spuntino was an instant classic when it debuted in Carroll Gardens in 2004. 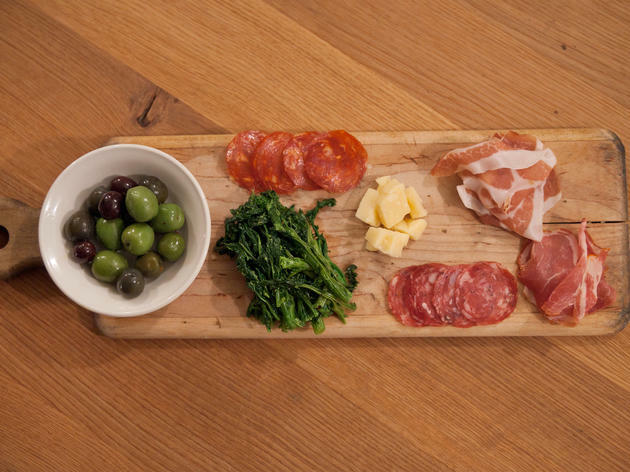 The mavericks behind the place—collectively referred to as “the Franks” Castronovo and Falcinelli—turn out an impressive selection of cheeses, antipasti and cured meats, distinctive salads and exceptional pastas to a mostly local crowd. Cavatelli with hot sausage and browned sage butter is a staple, as are the flawless meatballs—feather-light orbs stuffed into a sandwich or served solo, lavished with raisins and pine nuts. 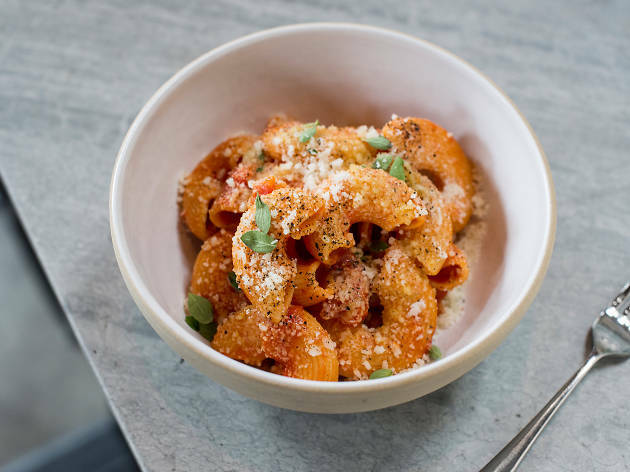 The food world welcomes back Missy Robbins—who earned Michelin stars for her work at A Voce and A Voce Columbus before departing in spring 2013—with this pasta-focused eatery. Robbins revamps a former auto-body shop as a 70-seat dining room decorated with handmade tiles, natural-wood tables and iron-casement windows. 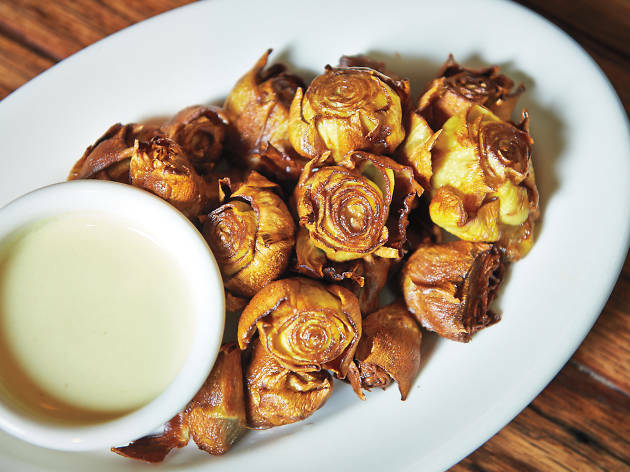 From an open kitchen, Robbins oversees rustic plates like cacio e pepe frittelle, spaghetti with anchovies and a wood-fired leg of lamb with Roman spices. A small adjacent take-out café serves pastries and panini, before converting to a cocktail bar at night. 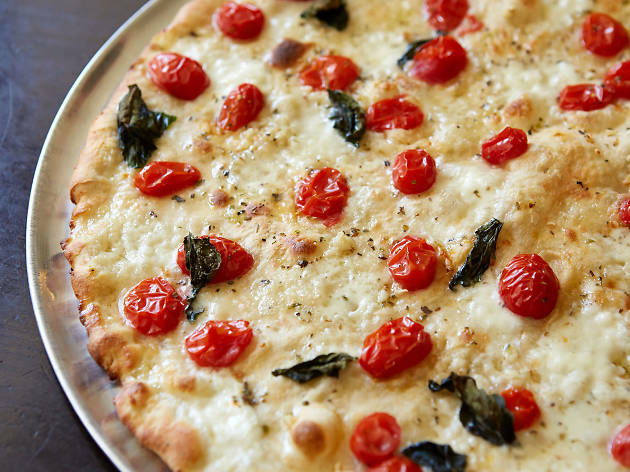 Danny Meyer’s first full-on foray into Italian cuisine focuses on the foods of Rome. 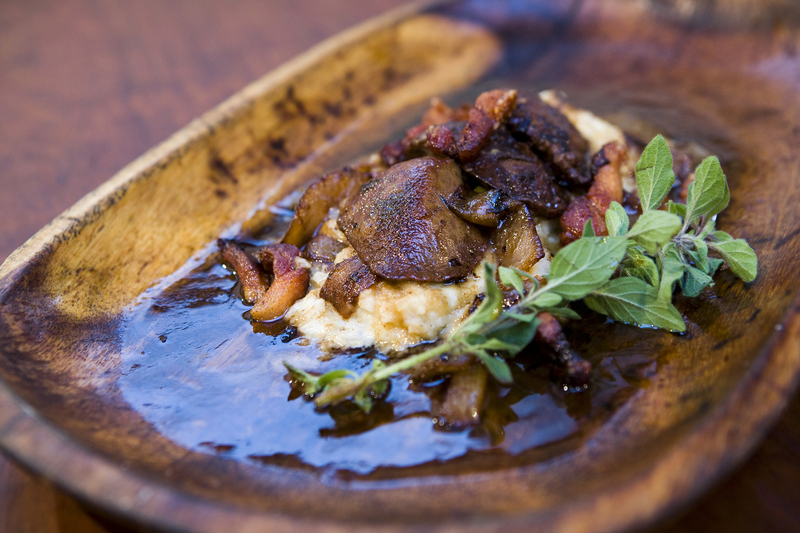 The menu, from chef Jason Pfeifer, sets a new standard with faithful facsimiles of dishes specific to the area. Antipasti include burrata with spicy tripe and pecorino. Among the pastas that follow is an excellent spaghetti alla carbonara with egg yolks, guanciale and heaps of black pepper. Entrées, like the namesake Maialino, a golden, fennel-rubbed piglet haunch presented with potatoes basted in pig fat, are a reminder of just how seductive authenticity can be. Patsy Grimaldi is nothing short of a New York icon. After learning how to make pizza from his uncle who owned Patsy’s Pizzeria, he went on to open Grimaldi’s Pizzeria in Brooklyn. 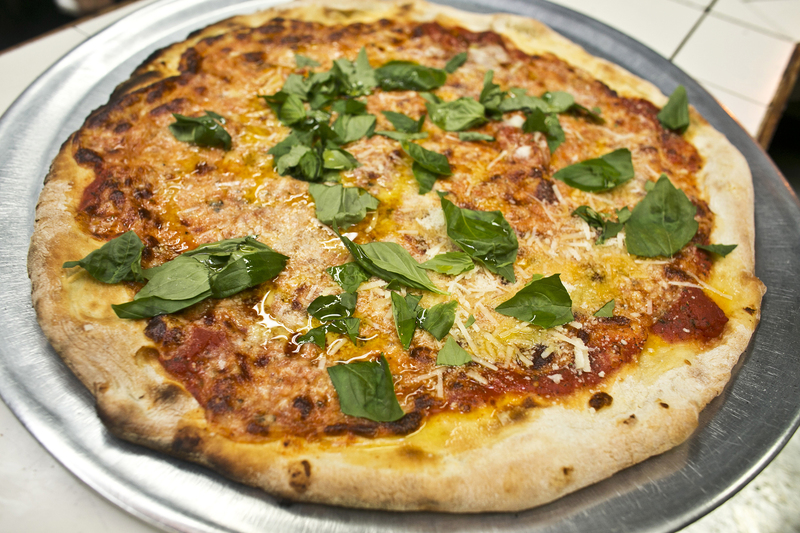 The pizza mogul sold his shop in the late 90’s, but came out of retirement in 2012 when Grimaldi’s new owners moved the restaurant next door. 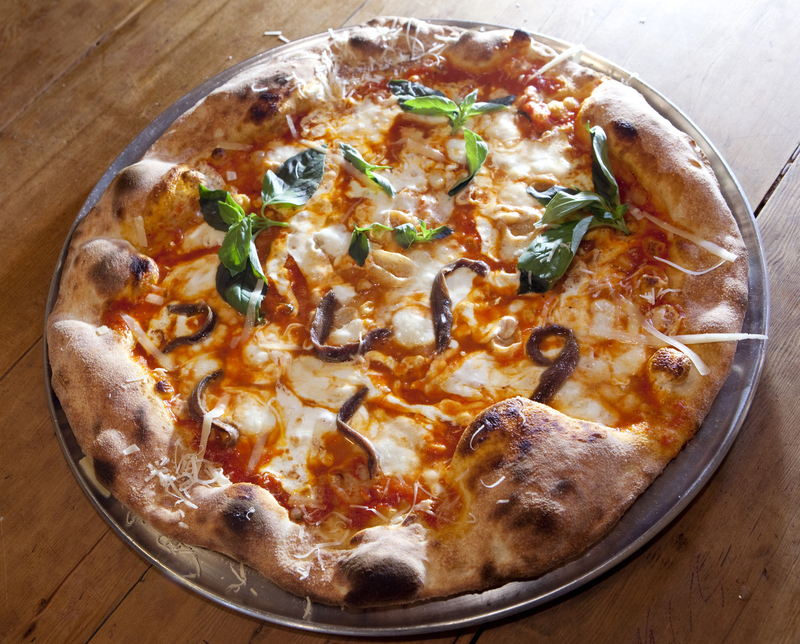 So be it the story of how Juliana’s was born, Patsy’s next chapter in his book of ‘za. 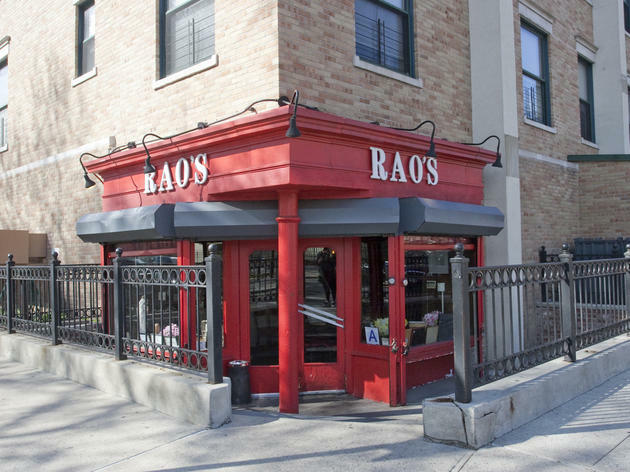 If you thought getting a table at Per Se was tough, try getting into Rao’s. On second thought, don’t. 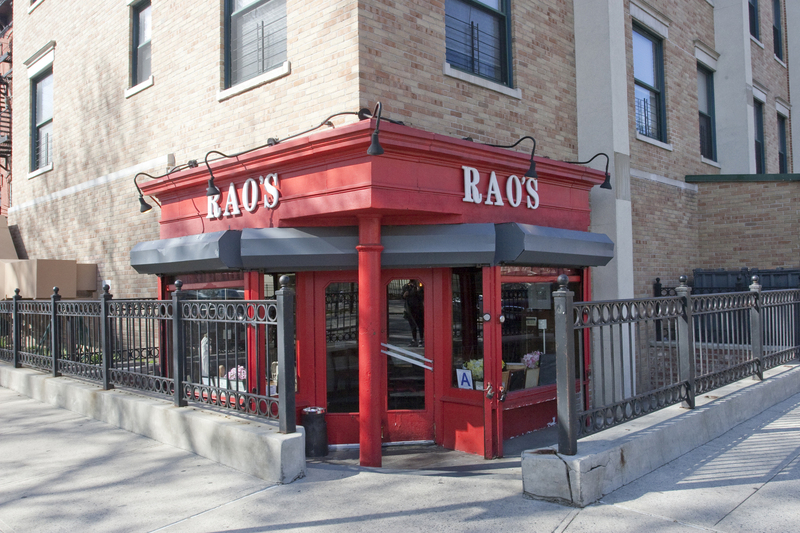 Rao’s (pronounced “RAY-ohs”) is really a private club without the dues. To eat here, you’ll need a personal invite from one of the heavy hitters who “owns” a table. These CEOs, actors, politicians, news personalities and neighborhood old-timers established a long-standing arrangement with the late, legendary owner Frankie “No” Pellegrino, and that's what ensures a seat at one of the ten tables. In fact, reading this review is probably the closest you’ll get to Rao’s. In the #trending slang lexicon, basic is not a compliment—it’s a dig to the banal, extra-regular-ness of everything from fur-lined Ugg boots to pumpkin-spice lattes. 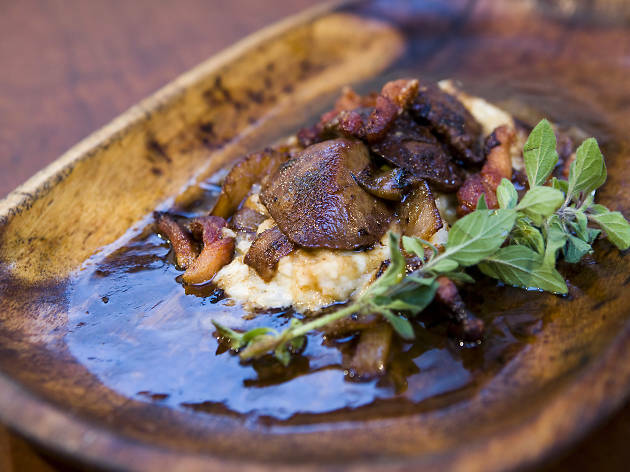 Basic cooking is no exception, redolent with whiffs of home kitchens and hands-on Sauté 101 classes. 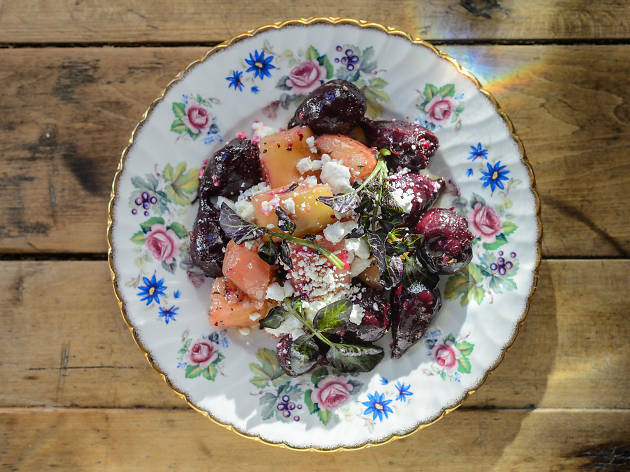 But the soulful Italian plates served at Via Carota, the first joint effort from chef power couple Jody Williams and Rita Sodi—at once rustic, sophisticated and heart-swelling—proves simple food can be anything but basic. 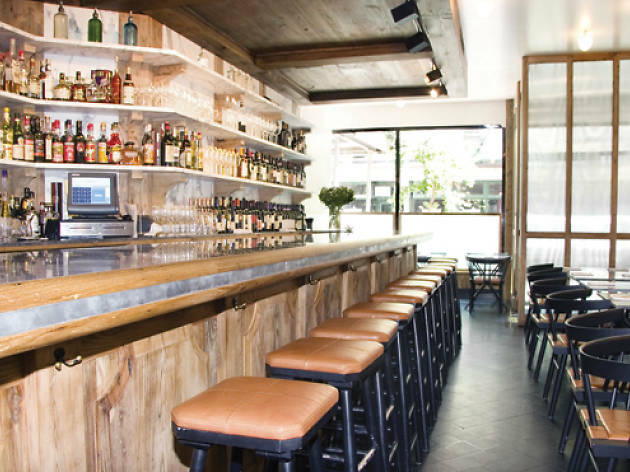 The glass-fronted Grove Street gastroteca (named after the Tuscan thoroughfare where Sodi once lived) is a chestnut’s throw from West Village charmers Buvette and I Sodi, where, respectively, Williams and Sodi took the reins as downtown’s doyennes of comfort food done excellently. 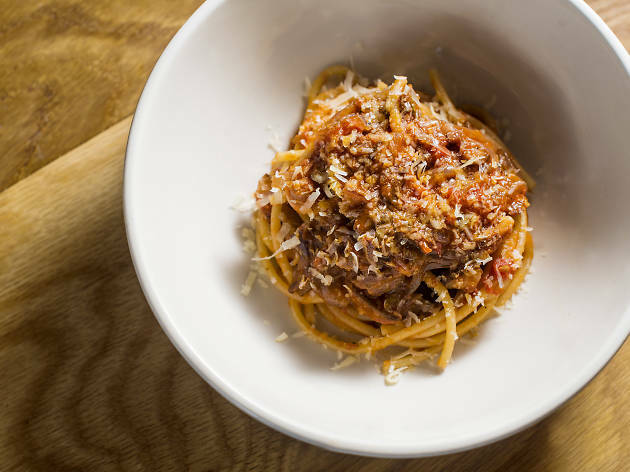 Chef Michael White (Alto, Marea) is one of New York’s most prolific and successful American chefs cooking Italian food, and this terrific downtown homage to a classic Bolognese tavern is the most accessible restaurant in his stable. 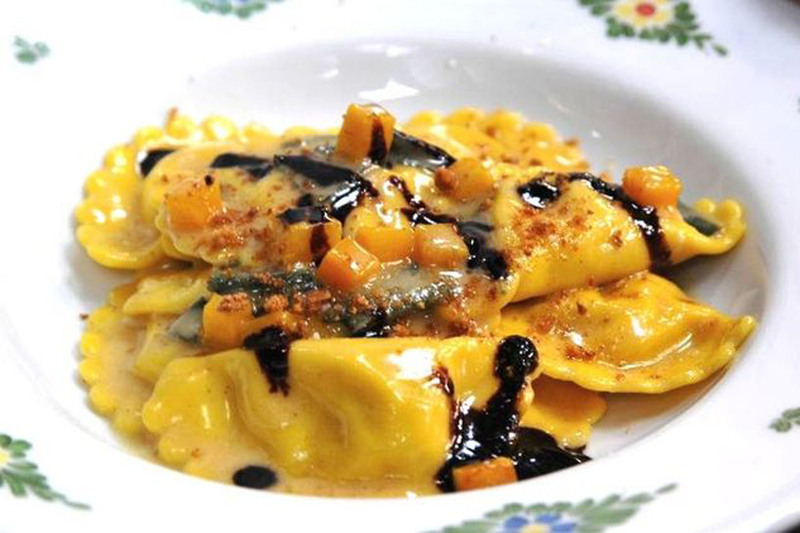 The toque spent seven years cooking in Italy's Emilia-Romagna region, and his connection to the area surfaces in the rustic food. 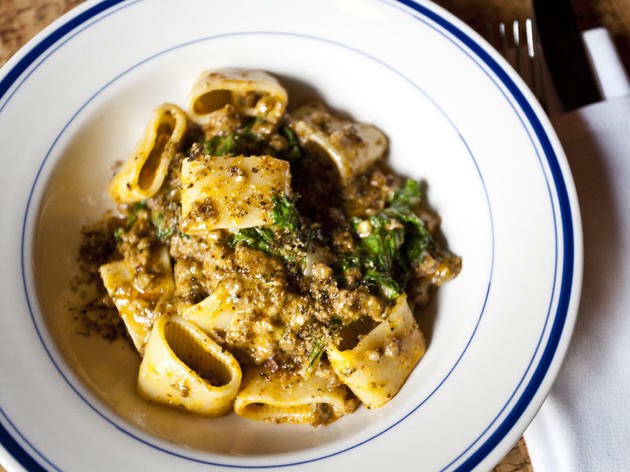 Handmade pastas—tagliatelle in a hearty bolognese ragù, fat tortellini bundles oozing an absurdly rich mix of braised meats and cream submerged in broth—are fantastic across the board. The open kitchen at Peasant is straight out of a fairy tale—a magical brick workshop where chef-owner Frank DeCarlo presides over a crackling fire. Fittingly, rustic dishes are best: Choose shimmery sardines; sizzling, golden-skinned hen; or leg of lamb, all pulled from the wood-burning oven. 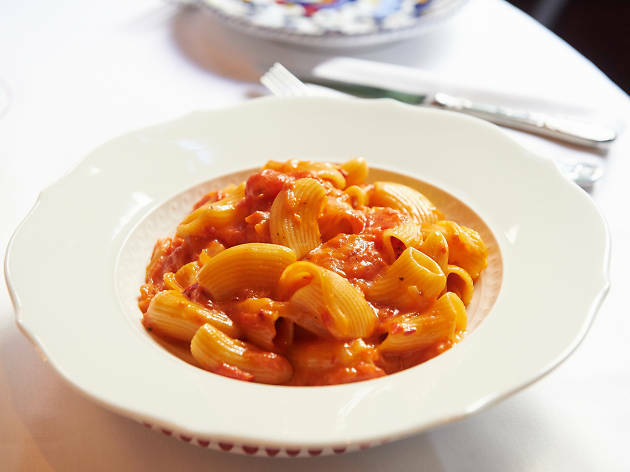 Sara Jenkins has built a strong local following for her comforting Italian cooking, and she plays the nonna role admirably at this modest spot—a throwback to the cheerful, reliable trattorias that used to define the East Village. 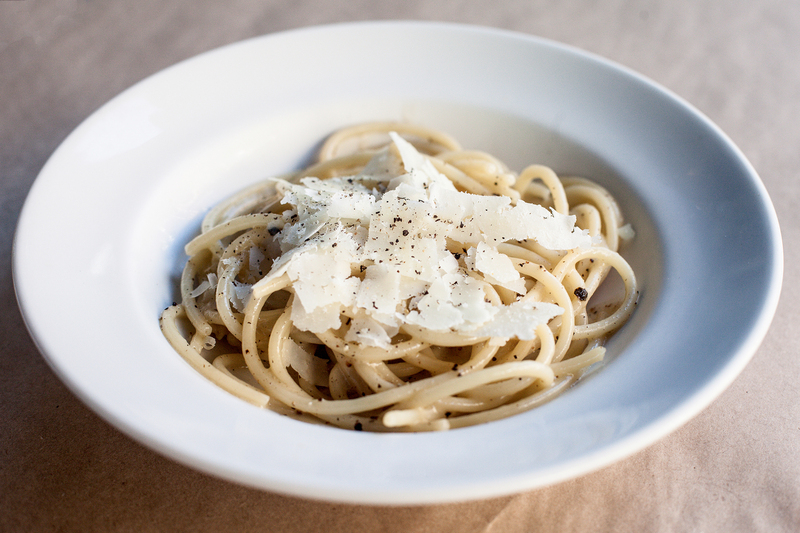 Pasta is really the best thing on the constantly changing menu. 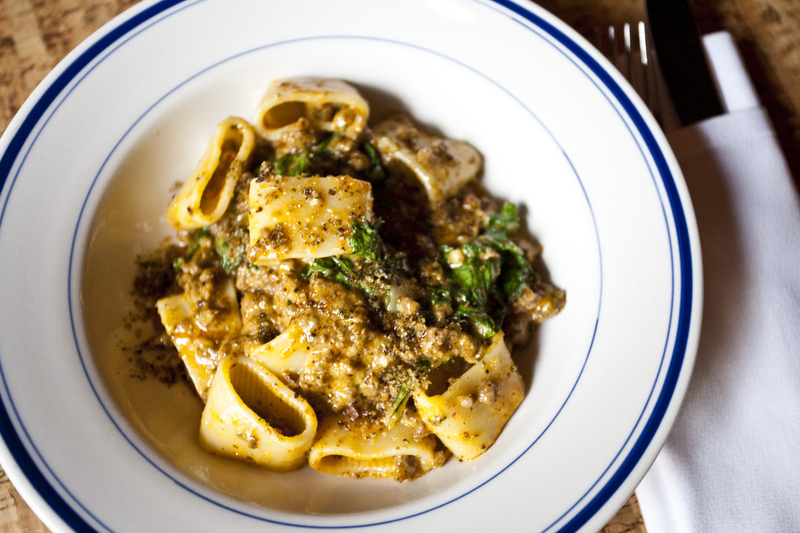 Toothsome anelloni rings are tossed in a generous jumble of wilted mustard greens and house-made spicy lamb sausage, while a soothing mac and cheese features cannolicchi curls gooey with sharp and pungent scraps from the restaurant’s cheese plate. 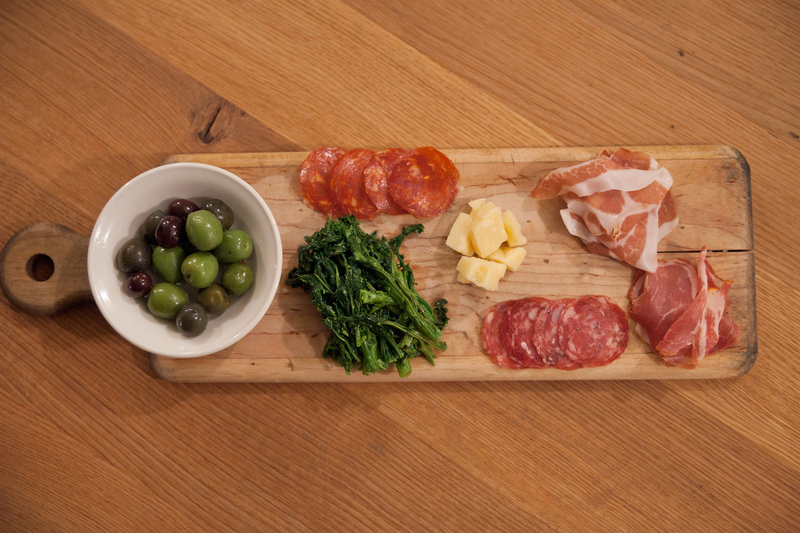 This tiny uptown Italian market-restaurant hybrid offers assaggi (small plates) and salumi. Desserts like Italian cakes don’t invite lingering, but the occasional complimentary shot of limoncello does. 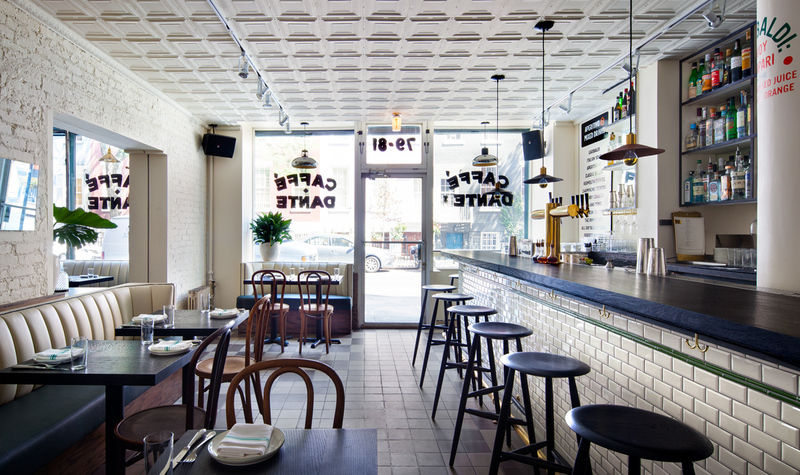 Pasquale Jones, a sequel to Ryan Hardy, Grant Reynolds and Robert Bohr’s jaunty, wine-charged Soho spot Charlie Bird, is a touch warmer than neo-Italian brethren like Café Altro Paradiso. That might be due to Reynolds’s graciously priced wine list or the Prince hits on heavy rotation overhead or to the actual glow emanating off a pair of wood-burning ovens in the nimble open kitchen, the promise of pizza within. Manned by San Francisco chef Tim Caspare, those roaring hearths produce one of the city’s best new pies: the clam pizza ($28), a char-puffed beauty covered in briny littlenecks, parsley and a delicate garlicky cream. With its long marble bar, piddling five tables and menu of choice Italian nibbles, Gottino isn't so much a restaurant as a very well-accoutred wine bar. 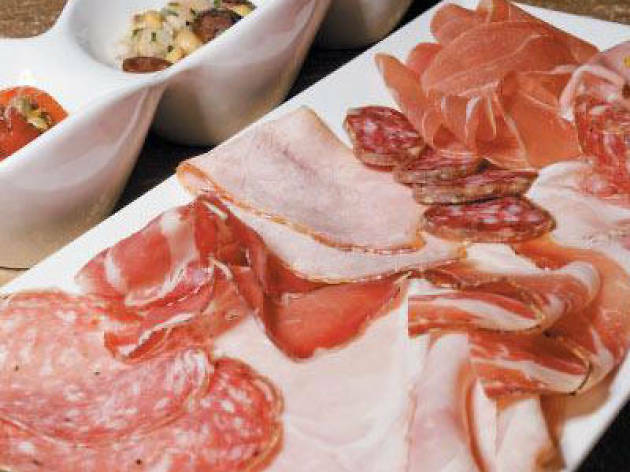 Divided into salumi and cheese on one side, and prepared bites on the other, the menu provides multiple opportunities for memorable bites. Thick-cut cacciatorini (cured pork sausage) luxuriates in a shallow pool of olive oil infused with oregano and garlic, while in another wee dish, sardines keep company with fennel, pine nuts and raisins. 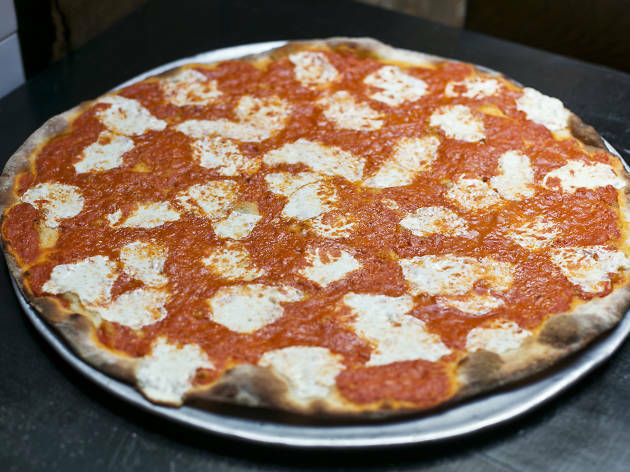 This family-run restaurant helped usher in Mulberry Street's red-sauce revival, offering simple, thin-crust pizzas and classic red-sauce fare. 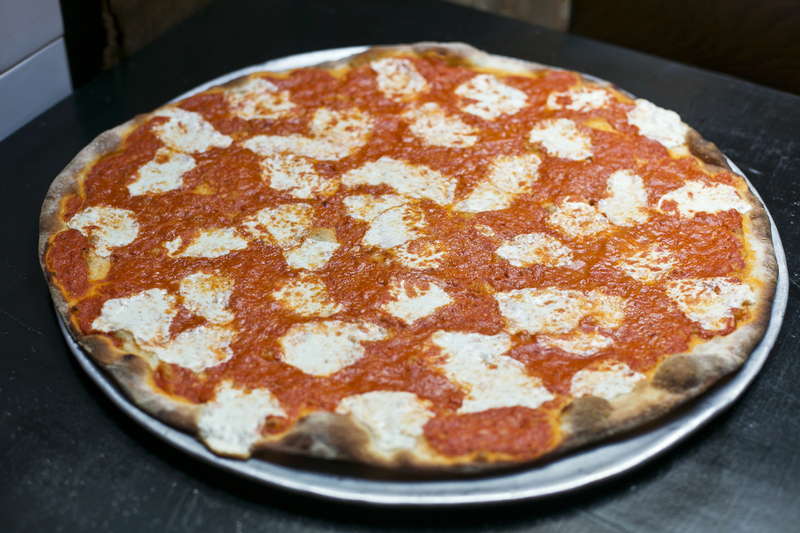 Rubirosa's crisp yet pliable pies have a delicate char and a small ring of crackerlike crust around the edges. 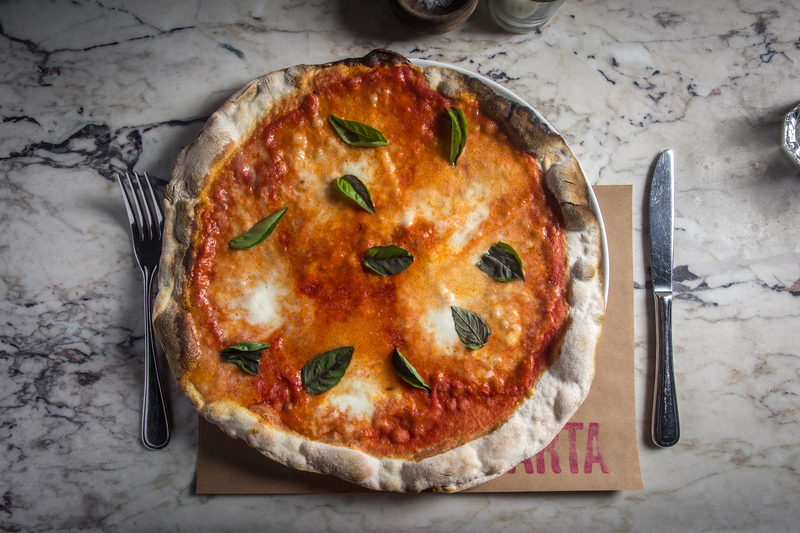 We've yet to go wrong with the no-frills vodka rendition, which boasts a layer of creamy, booze-spiked tomato sauce and a gooey patchwork of fresh mozzarella. 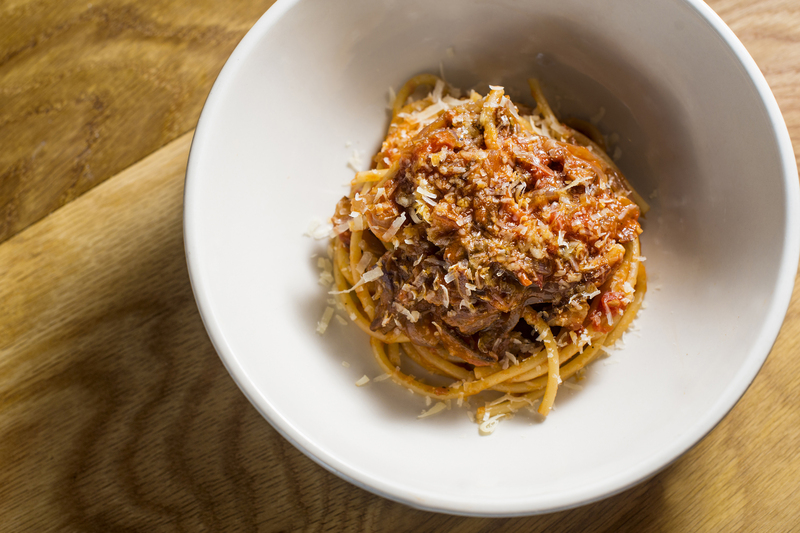 Andrew Carmellini’s Bowery venture, along with fellow chef Sal Lamboglia, doesn’t just go small—he goes primi. 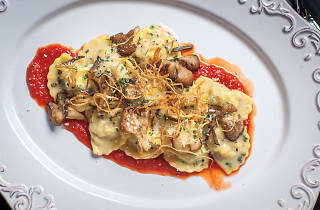 Piccolini, antipasti and house-made pastas (ruffled-bell campanelle, ear-shaped orecchiette) all share menu real estatewith grass-fed New York strip steak, grilled branzino and lemon chicken, plus a singular sandwich: roast beef. 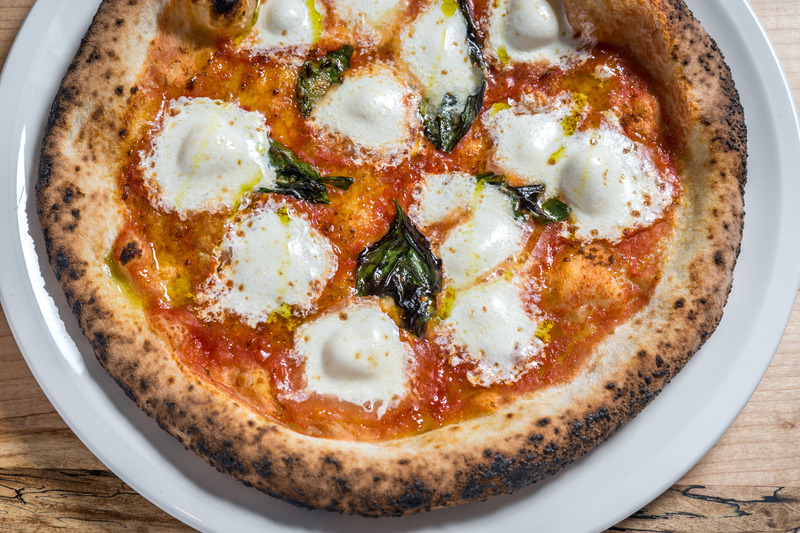 Danny Meyer's getting into the pizza game—the restaurant mogul (Union Square Cafe, Shake Shack) has teamed with his Maialino chef Nick Anderer for this rustic Roman pizzeria inside the Redbury New York, formerly the Martha Washington Hotel. 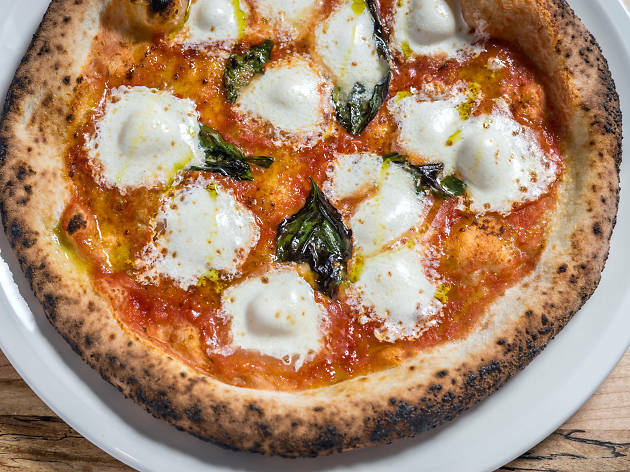 A self-proclaimed Rome fanatic, Anderer fell in love with the capital city's thin, crackly-crusted rounds, which he pulls from two wood-burning ovens and a nine-foot-long over-embers grill. Along with the traditional Margherita pies, the toque turns out outré renditions like one with pecorino, crumbled potato and crispy guanciale. 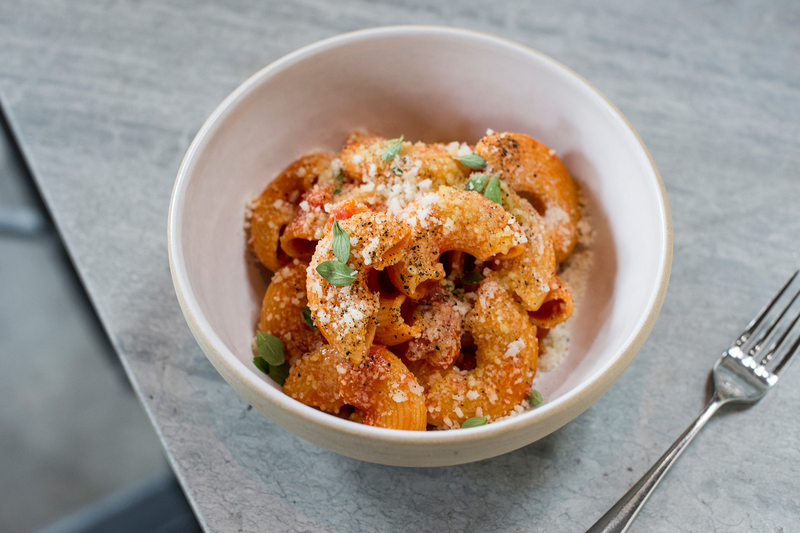 Come for the negroni, stay for the vibe and just move right in for the pasta. 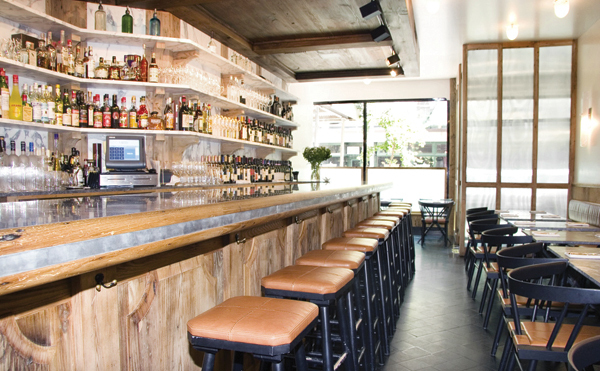 It's that simple, pleasure-seeking ideology that embodies Dante, the beloved MacDougal Street Italian café turned small plates restaurant and cocktail bar in 2015. After a century as a staple in the once predominantly Italian neighborhood, the original owners, a Fiotta family, sold the name to an Australian hospitality group helmed by Linden Pride (AvroKO), who revamped both the decor (green-leather banquettes, a pressed-tin ceiling) and menu, but preserves the storied history through classic Italian food and drink. 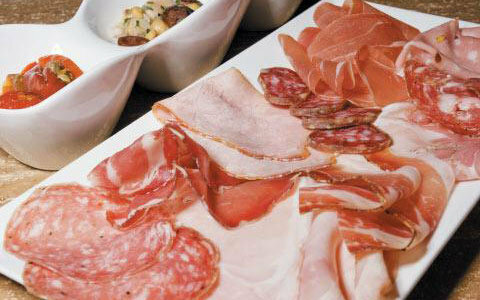 This hidden Italian-food gem is overseen by former fashion executive Rita Sodi and chef Michael Genardini (L’Impero). 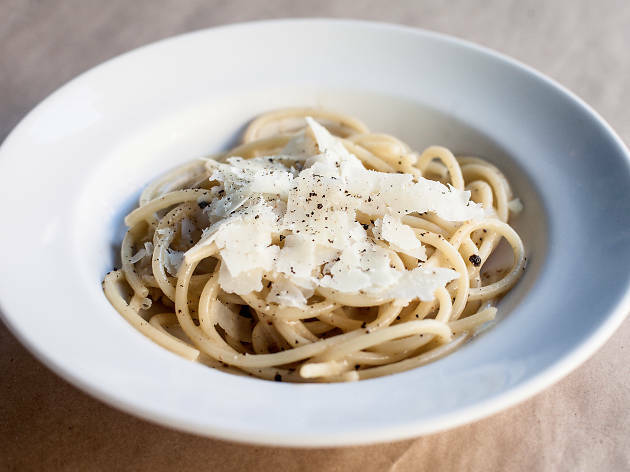 The toque’s homey menu favors simple dishes like a delicious cacio e pepe, a lemony artichoke salad with shaved Parmigiano, or an entrée of tender, satisfying fried-chicken chunks. Rusticity also rules the pared-down desserts: An ingenious chocolate “salami” combines Grand Marnier–laced chocolate and graham-cracker crumbs, mimicking the look of the cured meat. 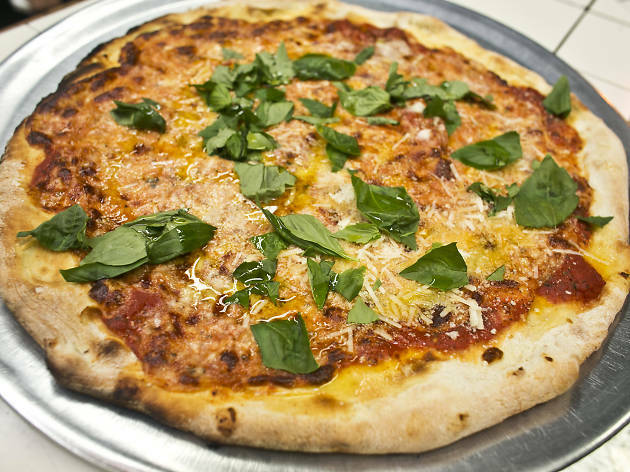 Brooklyn’s pizza legacies are legion—from Grimaldi’s in Dumbo to Ditmas Park’s fabled Di Fara. To this noble lineup add Lucali. The artisanal intent at the candlelit pizzeria is visible in the flour-dashed marble counter where the dough is punched and stretched, and in the brick oven from which it later emerges crisp and blistered. 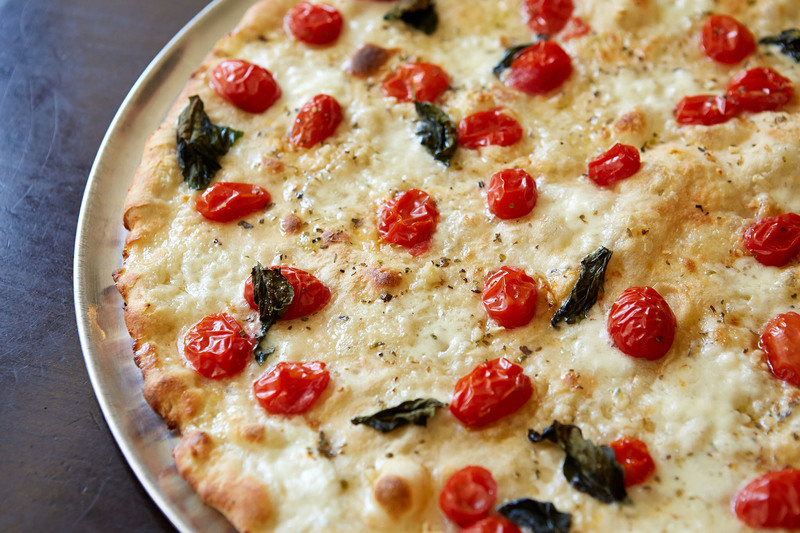 There are just two items on Lucali’s menu: pies and calzones, adorned with milky, elastic mozzarella and simple toppings like chewy rounds of pepperoni or slivers of artichoke. There’s no wine list, but the unobtrusive staff will happily extract a cork from your own bottle—Grimaldi’s could learn a thing or two.